Old No Fishing Sign Clock Scroll Saw Pattern. 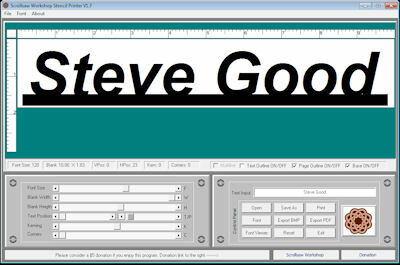 For those of you who say you can't cut on the pattern line, good news. This clock pattern is already all cracked up. No one will ever notice. The sign is ~10 1/4" long. Before you start to cut this pattern prepare your board blank by distressing it. Give it a few wacks with a hammer. Another good technique is to use a blow torch to scorch it a little. (Lawyer's note. Fire bad. Burn things down. Make you say ouch. Use only under adult supervision.). This pattern requires a 2 3/4" Clock insert with a 2 3/8" mounting hole. Here is a link for what you need. Clock Insert Link. Great reviews on Amazon. 4.3 out of 5 Stars. 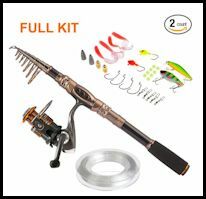 Easily store this telescoping Rod and Reel in your car to be ready to fish anytime. 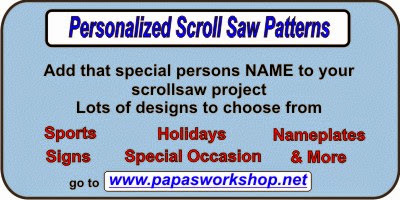 I Am Blessed Scroll Saw Pattern. A new giveaway Sponsor. 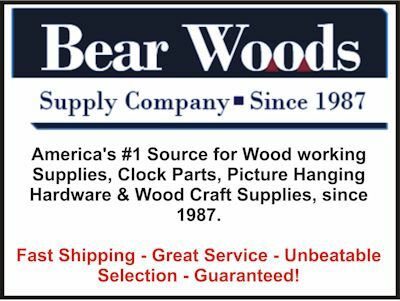 Bear Woods! I am Blessed scroll saw pattern. I am blessed to have a beautiful family, a body that still kind of works, good friends and a passion for my hobby. Can't ask for more than that. I have always enjoyed doing giveaways here on the blog. 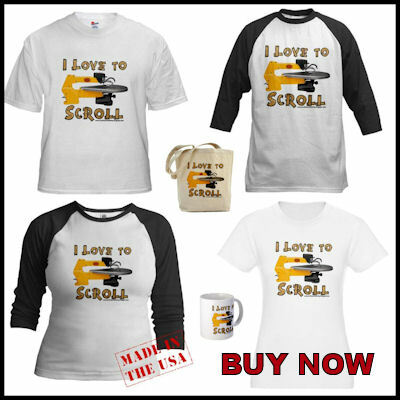 They are fun and many of you seem to agree because I get hundreds and sometime thousands of entries. I have been looking for a giveaway sponsor and I have found a great one. 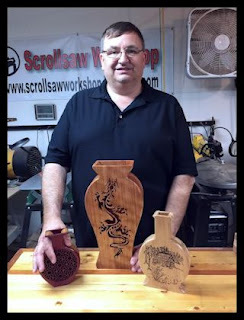 Bear Woods has agreed to try out a collaboration with the Scrollsaw Workshop. They will supply product and gift certificates for monthly giveaways and reviews. I am working on the details of the giveaway now and will announce something soon so we can get started. 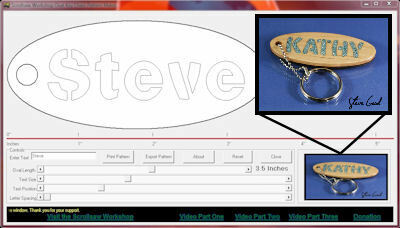 3D Patterns for the Scroll Saw. 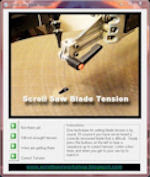 Compound cutting is a simple technique that produces astonishingly complex-looking results. 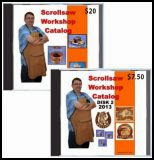 Discover how easy it is to learn this exciting method for creating three-dimensional projects on the scroll saw. 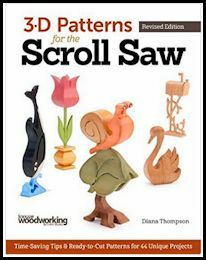 Author and artist Diana Thompson offers 44 of her best shop-tested, ready-to-use designs in 3-D Patterns for the Scroll Saw. 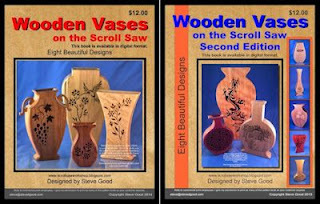 Both beginning and experienced scroll saw artists will appreciate this fresh look at an innovative technique. 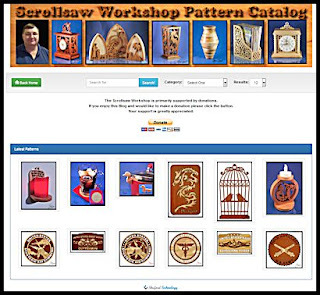 Step-by-step demonstrations guide those who are new to three-dimensional scrolling to improve their skills, while original patterns, ranging from simple, whimsical displays to elaborate holiday-themed designs, will delight and challenge advanced scrollers. 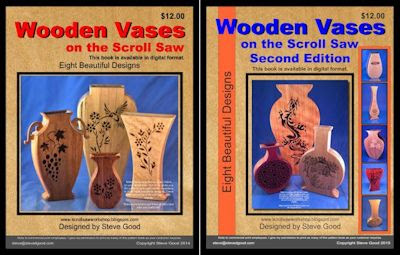 Helpful hints cover all the basics, from choosing wood to cutting, painting, and finishing these delicate pieces.